Ultra Vegas heads to Miami.. 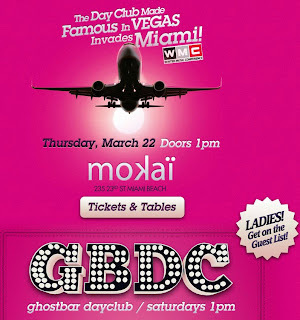 The 9Group @ the Palms Casino Resort and MyUltraVegas.com are expanding the high-energy weekly day party GBDC, Ghostbar Dayclub, to Mokai in Miami, 1 p.m. Thursday, March 22, as part of Winter Music Conference. West Coast meets south Beach. One of the only cities that rivals with Vegas nightlife has officially met its match. Prepare yourself to party! GBDC is a daytime extravaganza filled with debauchery at its finest. 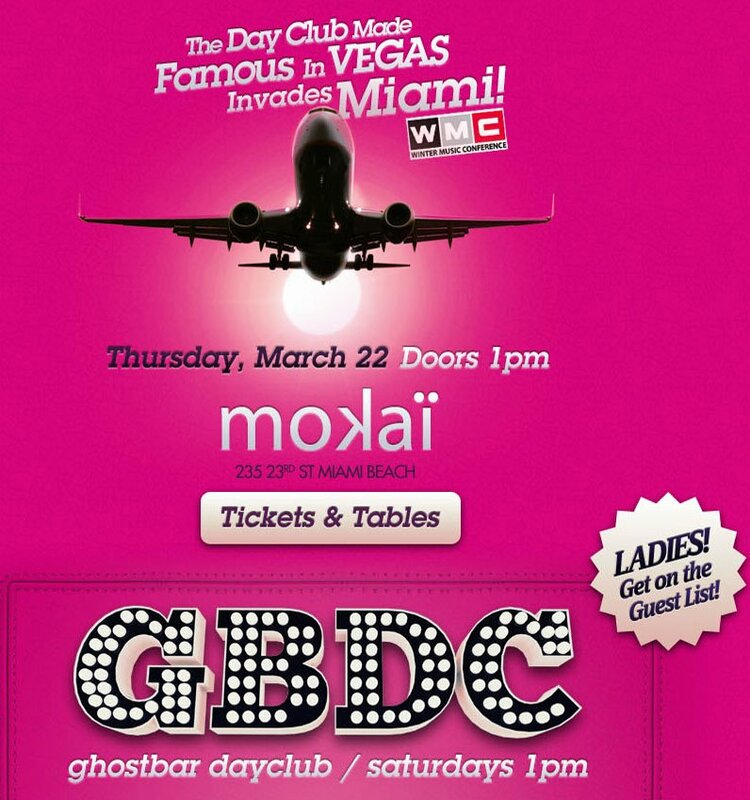 GBDC, is set to takeover Club Mokai later this month and create the same party atmosphere that has become a staple in the Vegas daylife scene. We are currently accepting VIP & guest list reservations for this event @ www.MyUltraVegas.com/guestlist so sign up now and come soak up the sun on South Beach... Vegas style! !